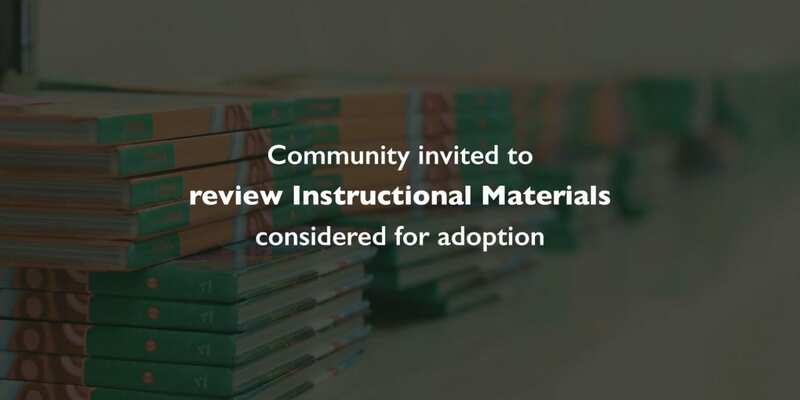 The Community is invited to review the instructional materials under consideration for adoption in Proclamation 2019, on Wednesday, January 16 from 1 to 6 p.m. at the Round Rock ISD Brushy Creek Complex Conference Room, 16255 Great Oaks Dr., Round Rock. Materials will be on display by subject area and comment cards will be available for community input. NextSuperintendent’s Message: 2018 Bond: What’s next?